In October 2017 the WNF project manager issued a report on the Next Stages for WNF towards adoption of the Plan. 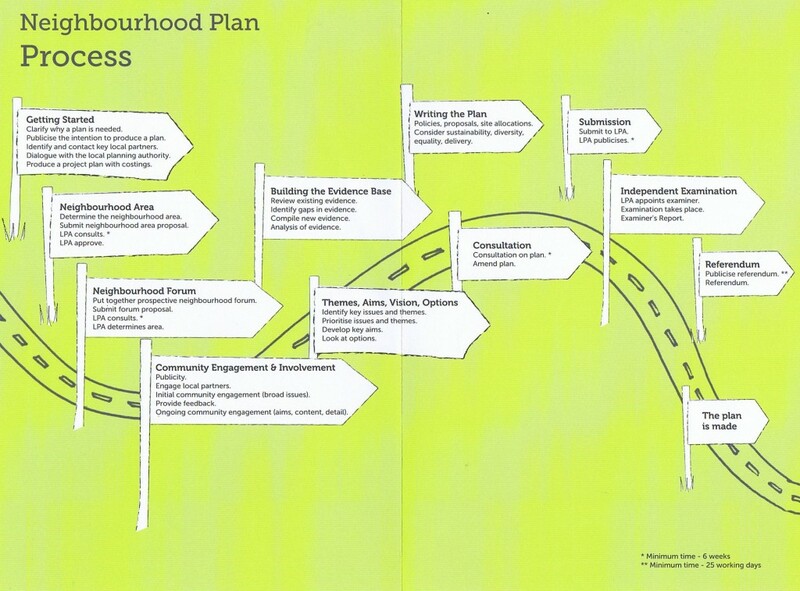 To establish a Neighbourhood Plan the following things must be accomplished: define the Area, set up a Forum, compile information about the Area and consult the local community about the issues. The Area has been defined as the same as the Wolvercote Ward and the City has officially recognised the Wolvercote Neighbourhood Forum. The application for this contained a draft Constitution and a list of signed up members of whom there are about 60 (a minimum of 21 is required). The Forum has held a number of meetings consulting the community and is currently working on the Plan. A simple majority of those voting is required for the Plan to be adopted into statute.